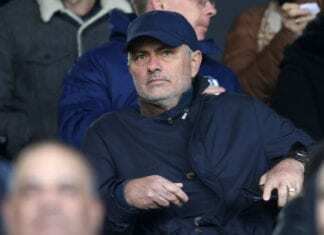 The 31-year-old forward completed a surprise loan move to Barcelona on Monday from Serie A side Sassuolo until the end of the season, despite having only been at the club since last July. As part of the deal, Barcelona have the option to buy Boateng this summer for €8m should things work out at Camp Nou. 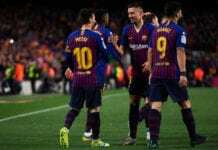 The Catalan giants were beginning to get desperate in their search for a new backup forward for Luis Suarez, who will turn 32 on Thursday, after reported moves for Girona’s Cristhian Stuani and Chelsea’s Alvaro Morata fell through. 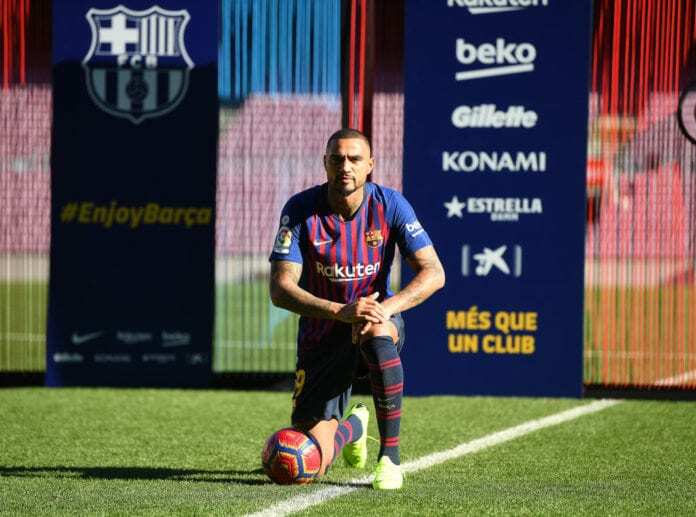 Now Barcelona have unexpectedly turned to Boateng to fill the void, who previously played in La Liga during the 2016/17 campaign for UD Las Palmas. However, doubts soon arose over Boateng with past comments resurfacing where he declared himself a Real Madrid fan and even added that Cristiano Ronaldo is the world’s greatest player. “I am a Barcelona player and Lionel Messi is the best player in this world and every world,” said Boateng in response on these comments at his official presentation today on Twitter. The Ghana international hopes his versatility will prove to be a useful asset in his bid to earn regular game time in Barcelona’s star-studded squad. “At my age, the number nine role is perfect for me, but for a coach, I think a player like me is a plus because I can play in different positions, but I feel very good as a number nine,” he added. Boateng could be in contention to make his Barcelona debut in Sunday’s Catalan derby against Girona in La Liga, where they hope to maintain their four-point advantage over Atletico Madrid at the top of the table.